Toronto, ON. [August 27, 2018]. Robin Smith, President of Kinosmith Inc. is delighted to announce that The Woman Who Loves Giraffes from writer/director Alison Reid (The Baby Formula) will be the opening film for the 18th season of Doc Soup in Toronto. It will screen on Wednesday, October 3 at 6:30 p.m., and Thursday, October 4 at 6:45 p.m. at Hot Docs Ted Rogers Cinema. The Woman Who Loves Giraffes is the hitherto unknown story of Canadian biologist Dr. Anne Innis Dagg, who, in 1956 at age 23, travelled alone to South Africa to become the world’s first person, male or female, to study the behaviour of an animal in the wild. Her pioneering efforts were ground-breaking, but upon her return home to Canada, her career was destroyed. Anne (now 85) re-traces the steps of her trail-blazing 1956 journey, giving us an intimate look into her life as a young woman, juxtaposed with a firsthand look at the devastating reality that giraffes are facing today and the forces that brought her back at a time when the giraffe world needed her most. Featuring the voices of Tatiana Maslany (Orphan Black), Victor Garber (Argo, Milk, Titanic), David Chinchilla (The Expanse) and Lindsay Leese (Bomb Girls) reading letters written by young Anne; Fleur de Lys manager, Alex Matthew; Anne’s husband, Ian Dagg; and Anne’s mother, Mary Quayle Innis, The Woman Who Loves Giraffes was shot between 2013 and 2018 on location in Brookfield Zoo, Chicago; Ontario, Canada; Samburu National Reserve, Kenya; Fleur de Lys, South Africa; New Braunfels, Texas; and Washington, D.C. 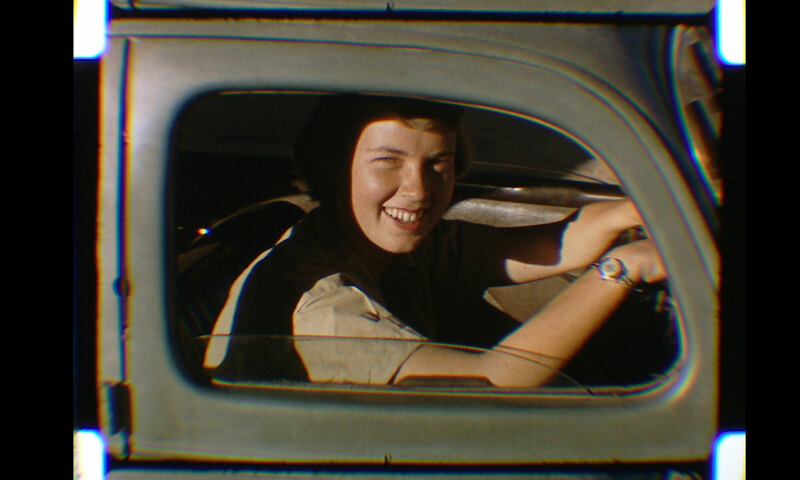 The film incorporates vintage 16mm archival footage from 1956-57 which was filmed by Anne Dagg herself, and, when she is in frame, by South African rancher, Alex Matthew. “The first time I heard Anne’s story, I fell in love with her indomitable spirit as well as her unprecedented accomplishments. I couldn’t believe her story is not well known – and that inspired me to film her for the past five years in different parts of Africa and North America. To finally be able to show this film at Doc Soup is incredibly up-lifting. I can’t wait for audiences to get to know Anne and have no doubt she will move them as she has moved me,” said Alison Reid. The Woman Who Loves Giraffes was made with the participation of The Ontario Media Development Corporation Film Fund, Telefilm Canada and the Rogers Group of Funds through the Theatrical Documentary Program, the Rogers Documentary Fund and KinoSmith Inc. The film is a Bell Media Original Documentary, and was commissioned by The Movie Network (TMN). It will have its world television premiere on TMN early next year. Distribution in Canada is being handled by Kinosmith Inc. Produced by Pursuing Giraffe Adventures Inc.
Alison Reid is an award-winning director who began her career as a stunt coordinator and second unit director. After accumulating 300 credits, she formed Free Spirit Films to produce projects diverse in genre but similar in their exploration of the human spirit. Reid received the 2007 Crystal Award for Emerging Director from DGC/WIFT. Her independent feature, The Baby Formula (2009), sold internationally, won the Audience Award at the Inside Out LGBT Film Festival, Best LGBT Film at Nashville Film Festival and was nominated for the Golden Zenith at the Montreal World Film Festival. Her television directing credits include Saving Hope, Heartland and Murdoch Mysteries.